By any standards I can think of, I’ve so far had a very lucky academic career. I started as an evolutionary biologist at the University of Tennessee, Knoxville , back in 1995, where they treated me very well for nine years, nurturing me through tenure as well as promotions to associate and full professor — the classical (if increasingly less common) academic sequence. Then, in 2004, I was hired by Stony Brook University’s Department of Ecology & Evolution , one of the most prestigious in the field. I still remember the thrill of my first day there, walking around the 6th floor of the Biology building and passing the offices of a number of people who had written the textbooks on which I had studied when I was younger: Doug Futuyma, James Rohlf, Robert Sokal, George Williams [3,4,5]. And now they were my colleagues! The first thing to admit is that, academically, things have been a bit more complicated than I had anticipated. I had (naively, as it turns out) assumed that having more than a quarter century of experience in science, but also having done the hard work of going back to graduate school to build philosophy creds, would mean that as a philosopher of science I would encounter a generally friendly atmosphere: the scientists would be interested in what I had to say as a philosopher, because of my reputation in their own field; and the philosophers would be happy to have a real scientist in their midst who had taken their discipline seriously enough to go back to school for it. Instead, more often than not, I found the opposite to be true: a number of my new colleagues in philosophy think of me as too much of a scientist (I keep asking the perennially annoying question: “but isn’t this a matter of empirical evidence?”), while my old colleagues in the sciences see me as lost (i.e., prematurely retired) to armchair speculation (always asking them: “but isn’t that an epistemological or metaphysical assumptions that you are making?”). Okay, it isn’t quite as bad as all that. I’ve received plenty of friendly smiles and encouragements on both sides of the divide, which has been immensely gratifying. Still, the cross-divide suspiciousness is always lurking just out of sight — and sometimes it actually hits you directly in the face. My adventures in sliding back and forth between science and philosophy have taught me a lot about how the academic world works, and of course about just how differently people may think when they are immersed in a disciplinary echo chamber constituted of their close colleagues and graduate students. Going back to the two parenthetical questions I asked above, many scientists are genuinely puzzled by the idea that some of what they do is based on philosophical assumptions that lie outside of their purview, and about which a number of colleagues in philosophy departments have thought long and hard (and have something interesting to say). The famous debate between physicist Lawrence Krauss and philosopher (with a background in theoretical physics) David Albert is a perfect example of what I’m talking about . Krauss, a brilliant cosmologist, had written a popular book entitled “A Universe from Nothing: Why There is Something Rather Than Nothing.” Albert, a brilliant philosopher of physics, had pointed out in The New York Times that Krauss had simply redefined “nothing” and gingerly proceeded to write a book that, as fascinating as it was, managed entirely to miss the point of that perennial question. From where I sit, they are both correct, with one crucial difference, one of attitude: Albert has done the homework to understand the physics, while Krauss is downright contemptuous of any suggestion that philosophy should be engaged in its own right. Lest I be accused of “defending the turf” (which one, since I’m both a scientist and a philosopher? ), let me add that often enough the table has been turned. For instance, I was among several scientists (and philosophers) to severely criticize eminent philosopher of mind Jerry Fodor when he co-wrote a book on “What Darwin Got Wrong” which clearly and patently misunderstood modern evolutionary theory . And the number of examples could be multiplied on both sides of the unfortunate divide . 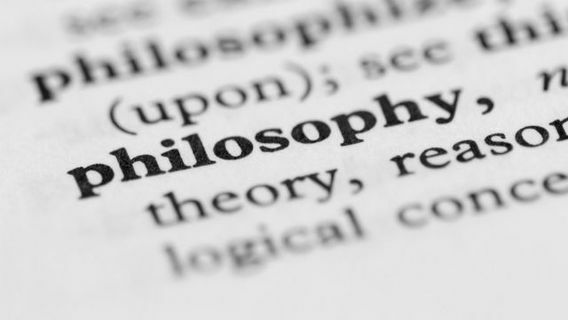 The mirror to scientists’ puzzlement at the claim that philosophical assumptions are fundamental to what they do is some philosophers’ bewilderment at the idea that their analysis ought to be informed by the best available empirical data. I’m not talking about the (correct) rejection of Sam Harris’ naive contention that science can determine moral values , but rather the general mistrust that so many of my colleagues (especially those in the so-called “analytical” tradition within the field) seem to have in regard to anything that smells too sciency. For instance, there is a debate currently going on within metaphysics — one of the classical core disciplines within philosophy — about the extent to which science, and particularly fundamental physics, should be taken onboard while doing metaphysics. On the one hand we have the contributors to a recent collection entitled Metametaphysics: New Essays on the Foundations of Ontology , who argue for a metaphysics essentially independent from science, as if it were still tenable to think that we can somehow gain a priori knowledge about the world by just thinking about it (has nobody read Kant, of late?). On the other hand there are the contributors to an alternative collection, tellingly entitled Scientific Metaphysics  who refer to the other group (scornfully) as “neo-scholastics,” and who maintain that the project of metaphysics is to make sense of the picture of the world emerging from the individual sciences, not to proceed without science. I think the second group wins hands down, while the first one is fighting a loosing battle that only contributes to the further isolation of philosophy from the rest of the intellectual world. This rejection of empiricism in philosophy is strange, since prominent philosophers at least since David Hume have pushed for precisely the sort of attitude toward the natural sciences that I am sympathetic to, an attitude that has been further elaborated upon by one of the most prominent philosophers of the 20th century, W.V.O. Quine . This is, of course, a debate very much alive within the philosophical community, as shown not only by the above mentioned discussions on the nature of metaphysics, but also by the rise of so-called experimental philosophy, or XPhi. This however, and with all due respect to my bright colleague and all around nice guy Joshua Knobe — a major mover and shaker in that field — I think was a misstep. For reasons I have elaborated on elsewhere , XPhi is (sometimes not really well done) social science about how people (often not professional philosophers) think about philosophical questions. I don’t see why much of its output should be of concern to professional philosophers, no more than, say, social science about folk concepts of physics or biology should keep physicists or biologists up at night. And speaking of “the folks,” a significant part of my efforts in both science and philosophy over the years has had to do with public outreach, from one of the early editions of Darwin Day I organized at the University of Tennessee to, for instance, the very existence of Scientia Salon itself. Here too, there have been interesting lessons to be learned by comparing attitudes and approaches across the two cultures. It wasn’t long ago that scientists were dismissive of colleagues who engaged in efforts to communicate with the general public — witness the famous issue of Carl Sagan not being admitted into the National Academy of Sciences despite the fact that his record of technical publications was as good as (if not better than) those of most of its members. But things have changed dramatically beginning with the ‘90s (could it be that the Republican assault on science and science funding had something to do with it? Inquiring minds want to know). It is now customary for professional scientific societies to conduct outreach efforts, and a number of professional scientists have gotten into writing books for the public, several of which have become bestsellers, especially in physics, but also in biology, and even the social sciences. Philosophy, in this respect, is about a decade or two behind the curve. The prevailing attitude among many of my colleagues is still of a stiff rejection of anything that is not arcane, buried in the proper amount of impenetrable jargon, and ideally of interest to as few people as possible. Moreover, it seems to me that it is a professional hazard for philosophers to be so self-reflective and hyper-critical that when they do engage in public discourse about their discipline they do it in a auto-destructive fashion . There too, however, things are changing for the better. A new generation of graduate students and young colleagues comes into the profession with a built in familiarity with the internet, social networks and especially blogs, and they are not shy in using them. Moreover, various publishing houses for years now have moved beyond putting out yet another “History of Western Philosophy” as their chief meager attempt at bringing philosophy to the public, and have produced astoundingly successful series of books that use various vehicles from popular culture to engage a public that is obviously hungry for philosophical discourse . And of course there has been a proliferation of philosophy cafes, Socratics clubs, and the like. Indeed, I have been running one in New York  for more than seven years, and its more than 1,500 members are my favorite statistics to throw back to colleagues (and administrators) who maintain that nobody cares about philosophy. So this, more or less, is what I’ve learned about philosophy during my first five years as a full time practitioner in the field. It is a fascinating exercise in reflective and critical thinking, with a tradition literally stretching back millennia. But it is also an area of inquiry that needs to be defended against attacks from both within and without, and which constantly needs to be explained to the broader public. It is also, in my mind, at least as vital to our university (and, really, pre-college) curricula and to the very vibrancy of our democracy than scientific literacy is. You can certainly get by in life with little understanding of theoretical physics or evolutionary biology (though you probably shouldn’t), but you simply cannot afford not to know the rudiments of logic or ethics. Sure, philosophers make mistakes and sometimes say really silly things. But as David Hume famously put it in his Treatise of Human Nature: “Generally speaking, the errors in religion are dangerous; those in philosophy only ridiculous.” Add politics and science to religion, and you’ve got a pretty full picture of modern perils. This was my Department at UTK. And this is the one I served in at Stony Brook. D. Futuyma’s Evolutionary Biology, Sinauer. R. Sokal and J. Rohlf’s Biometry, Freeman. George Williams’ Adaptation and Natural Selection, Princeton. Here is what a yellow Testarossa (a bit of an oxymoron, since “testarossa” means red head…) looks like. C.P. Snow, The Two Cultures, Cambridge University Press. Published with Jonathan as Making Sense of Evolution: The Conceptual Foundations of Evolutionary Biology, University of Chicago Press. My Department at Lehman College. My new Department at City College. My full analysis of the Krauss-Albert debate and surrounding issues is here and here. M. Pigliucci, “A misguided attack on evolution,” Nature, 18 March 2010, pp. 353-354. For instance, consider Stephen Hawking’s inane declaration that philosophy is dead because it hasn’t contributed to theoretical physics (in The Grand Design, Bantam), or Thomas Nagel’s equally misguided attack on modern science in his Mind and Cosmos, Oxford Press). Upon which I have written extensively. Edited by David Chalmers, David Manley, and Ryan Wasserman. Oxford University Press. Edited by Don Ross, James Ladyman and Harold Kincaid. Also published by Oxford University Press. This, of course, should not be taken as an indication that I’m on board with everything that Hume and Quine have written, only that I share their general outlook about what philosophy is and how it should relate to science. For instance, contra Quine, I do not think that epistemology is reducible to psychology. See: M. Pigliucci, Experimental philosophy is not an elephant, Rationally Speaking, 15 March 2013. You will find some of my own entries in this genre within the following volumes: The Ultimate Daily Show and Philosophy: More Moments of Zen, More Indecision Theory; The Philosophy of Sherlock Holmes; The Big Bang Theory and Philosophy: Rock, Paper, Scissors, Aristotle, Locke; Planet of the Apes and Philosophy: Great Apes Think Alike. Gotcha, Paul. I’d suggest D.S. Wilson and/or Eliot Sobor, among others. Certainly, I agree on cross-cultural human studies; I’d say that falls under cultural anthropology studies. That said, cultural anthropology supports Hume’s is/not ought, if anything. Human culture and cultural evolution is as much about transcending our genes as much as anything. Dietary laws or lack thereof within religions would be one example. State-required monogamy would be another. I think group selection is interesting, but, while not totally dismissing it, we still have some ways to go. Also, as the field of epigenetics is showing more and more, heredity is in more than just our genes. And, at least in the “pop” strain, I’ve yet to see an ev psycher deal honestly with it. Maybe we’ll have something in about 50 years. Congratulation on your new job. I hope that this Turing imbedding issue can be a part of your philosophical inquiry. As it won’t be empirical for a while, let me restate it in an empirical way. For Boltzmann Brains, it must invoke the omnipotent power of ‘infinity’ if the task is to reproduce the entire writing of ‘Romeo and Juliet’ (only about 40 printed pages). But, what is the semantic difference between ‘infinity’ from ‘God’? Boltzmann Brains in this sense is just a covert term for theism. Maybe we can reduce the task from the entire play to just the first page “Two households, both alike in dignity. In fair Verons, where … Here were the servants of your adversary, And yours, close fighting, ere I did approach:” We can invite the software programmers of the entire world to come up a Boltzmann monkey to do this reduced task for one year (with the most powerful computer available in the world) and to see how many sentences can be written by such a monkey in one year. Now, I will introduce another process ‘the Ghost Rascal’ game. Ghost-rascal conjecture — For a coin flipping game (head vs tail), T is the number times flip as one ‘game’, N is the number times that that ‘game’ is played. If T >= 3 and N >= 10^500, then no amount of sabotage from a Ghost can change the outcome of this game. This conjecture defines two philosophical terms ‘empirically’. One, immutable: no change by sabotage of any kind. Two, eternal: as soon as the game begins, there is no end to it. But, let’s put this conjecture aside. This game can be implemented in a computer. Let the T = 3, and the computer can play the game 1,000 time in a second. Then, in a fraction of a second, the following outcomes will be produced many times over. These three games form a ‘glider’ of ‘the game of Life’, and it can be the base for constructing the Turing computer. The detail of this is available at http://prebabel.blogspot.com/2014/02/ghost-rascal-conjecture-and-ultimate.html . Thank you for sharing this Massimo. The more we as a species gather millions of highly specialised bits of learning, the more we need generalists and synthesisers to make sense of it all. That’s where the really great leaps can now be made—across the interstices. Unfortunately, those synthesisers are always faced with trying to convince someone who is more specialised than they are about one tiny subject that they should reconsider their thoughts given the broader picture. It’s too easy for the specialist to dismiss the generalist so that’s why it’s a never-ending fight you are in for. But I for one am very grateful for people like you who are willing to fight it. For the last three years, I’ve been sketching out an outline of an Evolutionary Philosophy (a term that as far as I can tell has stunningly not been captured), but you are clearly ahead of me in deep expertise in both of the fields that I’m using for that term. I wonder if I could contact you sometime to get your thoughts or recommendations about pursuing a PhD on that subject in some kind of cross-disciplinary manner. Would you even recommend it given what you’ve learned and expressed in this post? Regardless, keep up the great work!